Over the past few months we have seen a rise in popularity of the punch bowl. Specifically the wonderful offerings of Jerry Slater at H.Harper Station. (Three of us emptied a bowl meant for four to six people. Our work is hard sometimes.) It is important to get past the thought of “punch” being a bad combination of Hawaiian punch and grain alcohol, or orange sherbet and ginger ale. The “flowing bowl” is a beautiful opportunity to bring family and friends together to enjoy what can be envisioned as an oversized handcrafted cocktail. As much love and care and creativity goes into the punch bowl as goes into the highball! 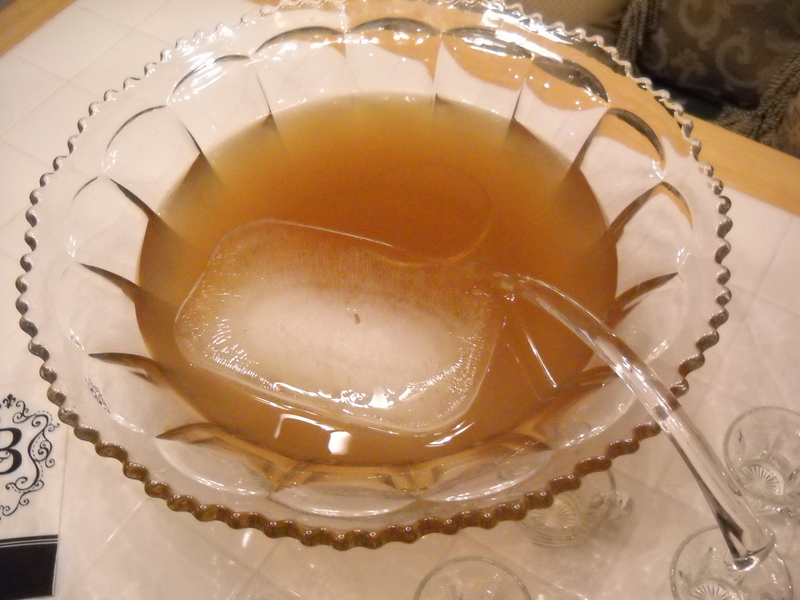 So here is a portion of the blog on “Philadelphia Fish House Punch.” Enjoy. This highly revered flowing bowl was first created in 1732 in Philadelphia at the Schuylkill Fishing Company, also known as “The Fish House.” The Fish House was a private gentlemen’s society devoted to escaping domestic tribulation while enjoying fishing, cigars, good food and drink. The “Fish House Punch” became the celebratory drink served at the club. Another version of the story holds that the punch was created many years later to celebrate the momentous occasion of women being allowed into the Fish House for the first time as an attempt to liven up the annual Christmas party. Either way, this refreshment is the official drink of the oldest club in America. 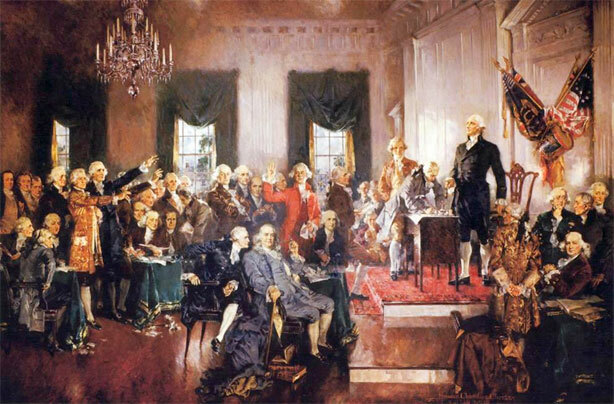 It was enjoyed by our founding fathers, and was the drink of choice raised in toast to the birth of our country’s independence July 4, 1776. While the recipe itself is reported to be a well-kept secret of the society, several versions have been passed around over the years. All seem to agree on the lemon juice, sugar and water, but the mysterious “mixture” (the liquors proper and quantities) are debated. For the definitive recipe, we turned to the well-respected Jerry Thomas and his writings on Fish House Punch. In his book How To Mix Drinks (the first true bartender’s manual, published in 1862) we found what we believe to be the most accurate recipe. Combine the ingredients several hours in advance and keep chilled. Then one to two hours before serving, pour into a large punch bowl with a sizable single block of ice. Traditionally this punch is not garnished in any way and decorative ice molds are frowned upon. 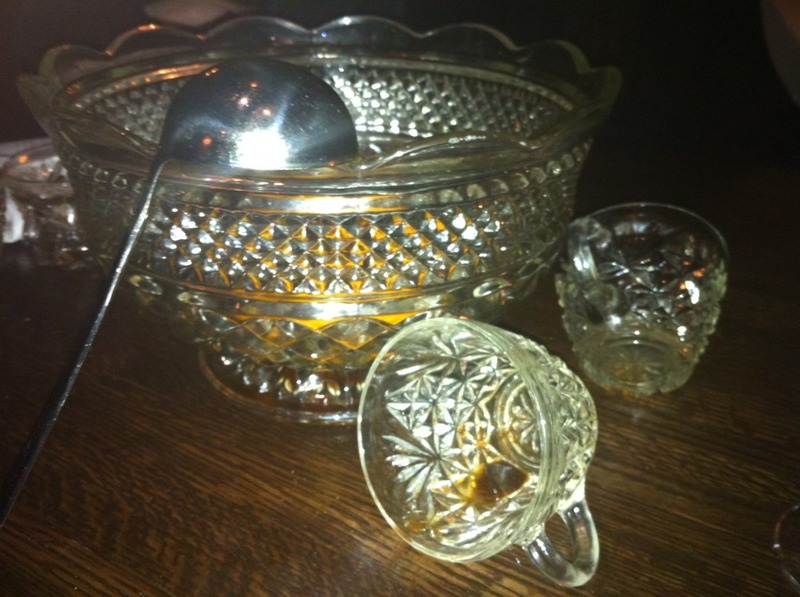 Ladle the punch over the ice block periodically and serve in punch cups. Stir all together in a large pot with lid. Let brew. (They actually advise brewing for two days.) Pour over a large block of ice in punch bowl and add in the champagne. I’ve made a Saint Cecilia’s Punch – that sounds very similar in ingredients to Ted Haigh’s Fish House Punch, although no maraschino liquor – and it was absolutely delicious! !